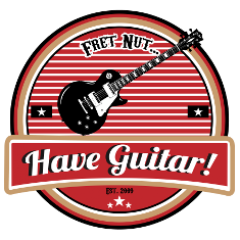 May 2018 - Fret nut... Have Guitar! Greta Van Fleet – Safari Song (live) – Music tip! Author adminPosted on May 30, 2018 Categories music tip of the week, Music VideosTags Classic rock, greta van fleet, have guitar, live, music tip, rock, safari songLeave a comment on Greta Van Fleet – Safari Song (live) – Music tip! It djents but does it sound like a Plexi? Video tip – Johan Segeborn tries out a brutal amp! Author adminPosted on May 28, 2018 Categories Video TipTags fortin, have guitar, johan segeborn, meshuggah, signature amp, video tipLeave a comment on It djents but does it sound like a Plexi? Taking a stint look at the Ignite Amps Emissary – a free amp simulator that sounds very good according to me. The Emissary is free to download and you just need a digital audio workstation (DAW) to use it, if you haven’t got that Reaper is a good alternative to start with. What is it? It is a VST-plugin that simulates a guitar amplifier – it has one clean and one gain channel and I’d say we’re sniffin around metal territory here… but with some tweaking it surely can be used for other genres as well. So, this is more of a “let’s see what it can do” video and it’s the first one of it’s kind (for me!) so hopefully I will develop the format as we go along. Feel free to comment about that (yes, just a I said in the video!). Besides the Emissary I have used a bunch of other plugins to get this to sound (hopefully) better; Kjaerhus Classic compressor and delay, Ignite Amps TSB-1 (Tyrant Screamer, like a Tube Screamer in VST format) and Nadir (cab/IR loader) and Variety of Sounds BootEQMkII. Best of all? They are all good plugins and free to download and use as well! There you have it, my first dent with some free software for recording guitar – I do hope you’ll like it. Please do subscribe to Have Guitar to gimme some support, that will be appriciated! To all of you who allready do: Thanks!!! Why the Kemper is better than a real amp! Quite a provoking title, right? Well, in this video the Tone Junkie is advocating why the Kemper is better than a real amp (read that as: tube amp). For me his arguments are legit, what do you think? Author adminPosted on May 23, 2018 May 23, 2018 Categories Kemper Profiling Amp, Video TipTags have guitar, kemper profiling amp, kpa, tone junkie, tube ampLeave a comment on Why the Kemper is better than a real amp! Tone Junkie continues to impress with another Free Kemper profiles pack and this month it’s the Modded 78 JMP. Marshall of course and 100 watts of sweet tones awaits you if you sign up for this great service from Tone Junkie. Subscribe to Have Guitar to support the channel! Thanks to all of you allready subing!! So, I did some tweaking to some profiles from Live Ready Sounds Redwood City Fire Kemper profile pack and well, they are now officially added to the profile pack as a FX addon. Thought I might might as well do a lil’ video on this and here it is. These profiles recreates the sound of a Panama Amps Fuego through many speaker cabinets and mics, I have done a Rig Showcase on this pack earlier if you wanna go back and have a look at that. Thanks for watching Have Guitar – feel free to support my channel by subscribing – much needed and even more appriciated! Back with another Rig Showcase and this time around I’m very happy to demo some official Mark Cameron Kemper profiles! A big thanks for letting me try out these profiles, I love them! Just wanna clarify; I know I say “Cameron amps” in the video while actually meaning “amps modified by Cameron”. So, I got to try out six of these profiles, all of them are Direct Kemper profiles so I have chosen a number of cabs already in my KPA and boy do we have some serious tone here! For the high gain profiles, which is a majority of these profiles, you will get a fat and tight tone that just kept me wanting to keep on playing! And for the one clean profile – well, it’s crystaline clear and it just sounds great! There are loads more information on these profiles in the links further down so I’d recommend you take a look there. Hope you liked the video! If so please support Have Guitars effort to bring fun guitar-related videos to quaff boredom by subscribing to the channel. A big thanks as always to all of you already subscribing, much appreciated! Toast MIDI Editor for the Kemper Profiling Amp – an editor finally! Toast MIDI Editor – an editor for the Kemper Profiling Amp – finally! So it has taken me some time to get around to test out this one – it’s an editor for PC or Mac for the Kemper Profiling Amp. I guess it was bound to popup one sooner or later as Kemper seems to have neglected the fact that this is the most being asked for by the KPA users… (but there are rumours about something coming, but that’s it – rumours). Once I decided to try it out I noted my midi cables were gone. Vanished. Oh well, so I had to order two new – whch is not a big cost but still kinda annoying. And here we are – a fully working editor for your Kemper. I think it’s great and I will use it and donate to Damien who have put in time and effort to bring us this. Kudos for that. Hope you will like this video and if so – please do subscribe, the support is much appriciated! To all of you who allready do – Thanks! Recorded with a Sony FDR-AX100 and edited in Magix Movie Studio Platinum 14. And don’t forget – Fret Nut… Have Guitar! Author adminPosted on May 14, 2018 Categories Kemper Profiling AmpTags have guitar, kemper editor, kemper fx editor, kemper profiling amp, kpa, toast me, toast midi editorLeave a comment on Toast MIDI Editor for the Kemper Profiling Amp – an editor finally! Just published on Reverb, an article anyone interested in guitars should read. The interview hasn’t been published before and well, according to me, this guy has some interesting thing to say about the iconic humbucker that he invented! Kemper Rig Showcase from Have Guitar! Here’s a Rig Showcase from one of Live Ready Sounds recent additions – Tweed Profiles! 65 sweet studio profiles taken from a Fender Tweed Deluxe, ready to rock and roll, baby! This amp has some good twang to it and the tones go from crystal clean to a nice gritty overdriven tone. Me likes and you should too! So, did you like this demo video? If yes, please do subscribe to Have Guitar! I’m just a guitar nut who loves playing guitar and your support by subscribing will be most welcome. A big thanks always goes out to all you who already sub – so appriciated!